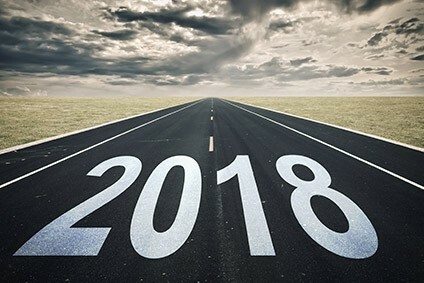 2018 is set to be a year in which disruptive trends that have been on the horizon start to become the norm for the apparel industry and its supply chain, according to first feedback from a panel of executives consulted by just-style. This includes more orders in smaller quantities and shorter lead times, the pressures of e-commerce and fast fashion, digitalisation of the value chain, slow sales and rising costs. But facing up to these challenges also presents opportunities for retailers, brands and their suppliers to rethink their business models and find new ways to become relevant. For the final part of our Outlook 2018 report we asked industry executives what keeps them awake at night – and other issues the apparel sector should be keeping a close eye on in the year ahead. Not surprisingly, US trade policy and free trade agreements remain top of the agenda for many – along with health and safety, ethics and compliance, automation and efficiencies, and the continuing impact of omnichannel retail. What should apparel firms be doing now if they want to remain competitive into the future? Diversified supply chains, data, digitalisation and the smart application of artificial intelligence are key to addressing the top industry challenge of speed and complexity – and are the best hedges against uncertainty. Add in constant innovation, sustainability, and a focus on understanding your consumers and you have the ingredients to help to separate the winners from the losers in 2018 and beyond. How is the sourcing landscape likely to shift in 2018, and what strategies can help apparel firms and their suppliers to stay ahead? The days of "chasing the cheapest needle" are over, executives say, and instead the need for speed is changing the way products are sourced and manufactured. A balanced and diversified sourcing portfolio remains key to enabling retailers to react faster to trends, commit less up-front and navigate political uncertainty. But China’s dominant role seems set to stay.